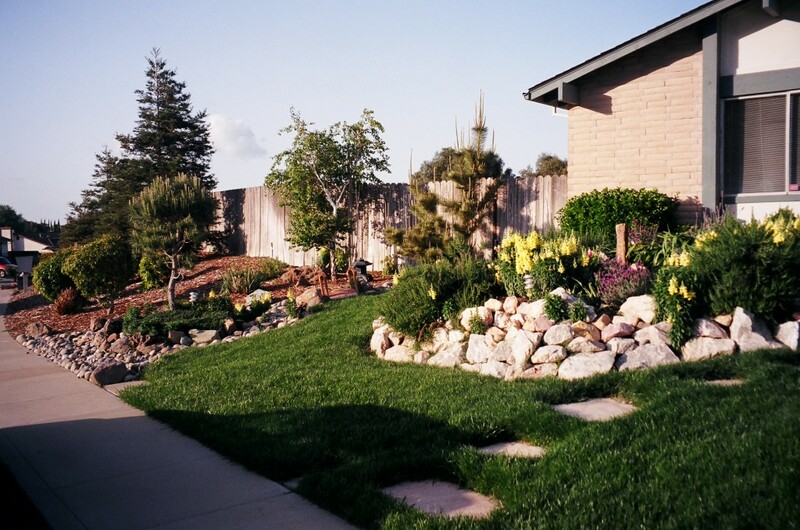 ← Lawn to Xeriscape Rebates? What’s Up With Those? This time of year in California, it feels good to let your landscape go untended for a moment. Everything is mostly settling in to a slower growing season for the winter, which makes it the perfect time to just dream about the type of yard you’d ideally like to have. We’d like to share some local landscape successes and fails to get you started on your winter dreaming for your spring landscape. 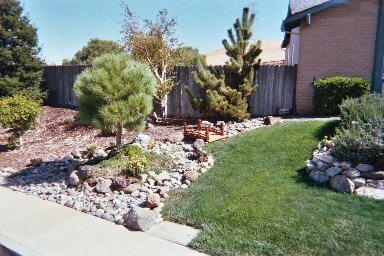 This first landscape has a great SUCCESS with the lawn, tree, shrub and decorative rock combo. The FAIL here is the decorative rock on the tree roots. The tree roots stick up because they aren’t getting enough water. The rocks get hot and cause more evaporation of water, hence making the tree more vulnerable to disease. 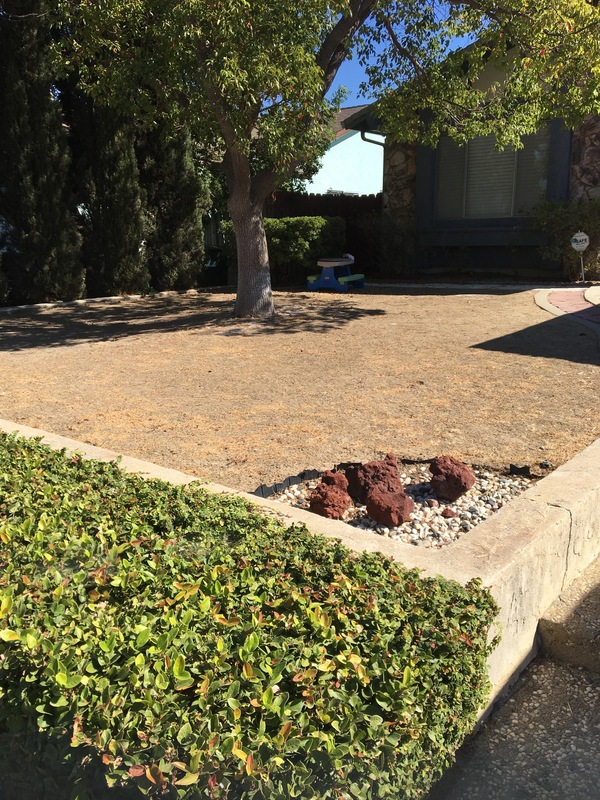 A better solution would be to raise a mound of healthy soil around the tree base, and place some drip irrigation at the tree base for better water coverage. 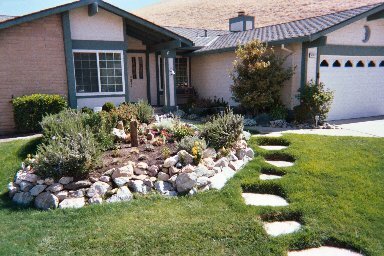 This next landscape has a good combo of water friendly greens at the front, an attempt at a rock inspired corner “color spot”, an awesome shade tree and some water friendly shrubs at the house. SUCCESS! The FAIL here is obvious; that vast expanse of dirt space is bringing down the whole look of the yard. 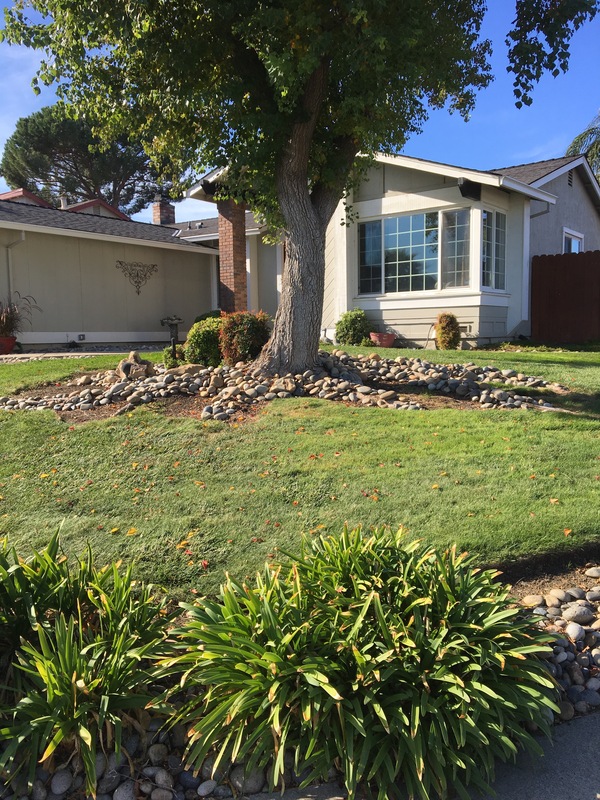 Now to give credit, these homeowners probably let their lawn die in an effort to conserve water. The bad part about this is that dirt areas actually add to warming the planet; live plants, (including lawn), help take down the temperature. In fact, a healthy lawn actually acts like air conditioning around your home. This final landscape has a lot of successes. 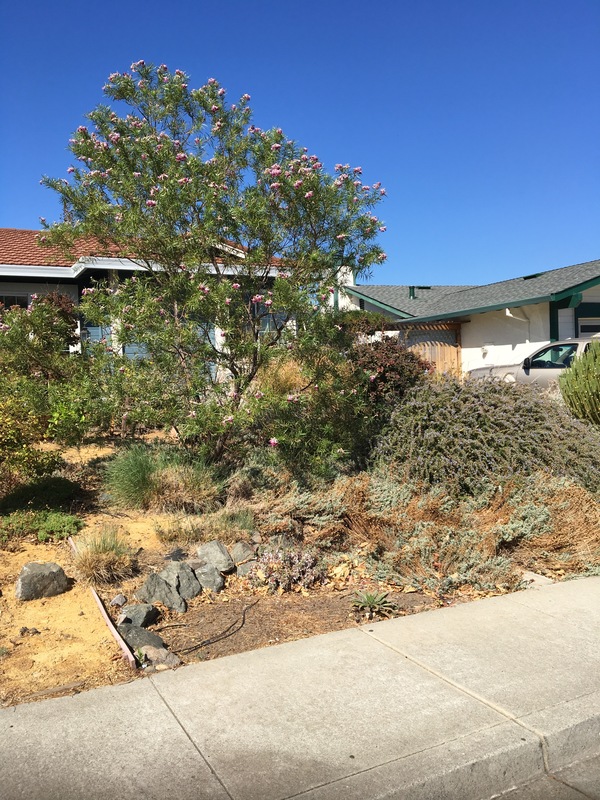 There are a wide variety of drought tolerant, native plants in this yard, and they are at varying heights. There is some rock and border for interest, and the tree creates a good focus. 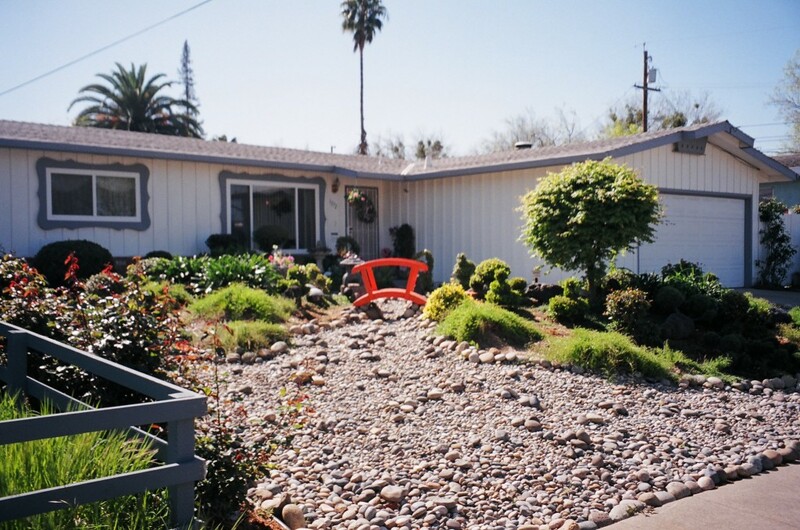 The FAIL here is that this yard needs a bit more water and some attention. 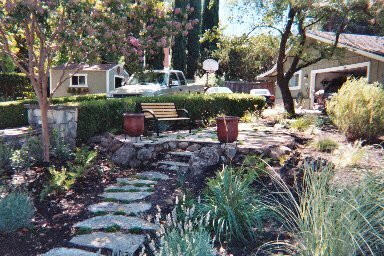 There is no such thing as a “maintenance free” yard. 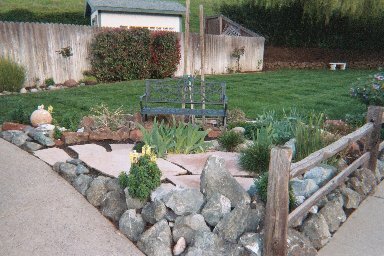 A few focused hours of pulling weeds, trimming plants and adding some fresh, dark mulch to this landscape would make a big difference.